Make your business’s great customer service start from the curb! Streak Free provides commercial concrete cleaning solutions that redefine the potential of your property. Your driveways, sidewalks, and parking lots are likely the most high-traffic areas on your property. So while it isn’t exactly a surprise that they’ll be dirty and an eyesore, it doesn’t do the reputation of your business any favors. Dirt, car oil and grease, chewing gum, and other buildup hurts the quality of your property and its curb appeal. Our commercial customers also have safety concerns to address. When surfaces are covered in buildup, they become slippery and unstable – and this contributes to the 1 million annual emergency room visits caused by slip and fall accidents. Your hardscapes are always going to be one of the most heavily used parts of your property. But with professional care, you can preserve their quality for the long term, promote a safer property, and invest in the lasting curb appeal of your business. Our team uses a pressure washing method that integrates top quality cleaners, high-volume water release, and specialized equipment to restore your hardscapes. With dedicated service and a priority on detailed results, Streak Free is proud to help your property be at its best – for your customers, your staff, and your reputation. 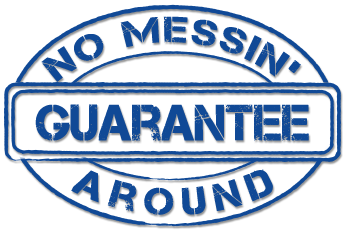 Guaranteed Effective: We promise that you’ll be 100% satisfied with your property – our job simply isn’t complete until you’re happy. Environmentally Responsible: Our team uses biodegradable, earth safe cleaning products that are safe for your lawn, landscaping, pets, and family. Safe: With safety protocol, $1 million insurance coverage, and worker’s compensation, our clients and our technicians are always at their most secure during our service. Simple: Great service shouldn’t be complicated. We offer free online estimates for your convenience, and we’ll always come to your property on time and on schedule. We also provide recurring service to bring you the maintenance you need, when you need it. Professional: All of our licensed technicians have the training, ongoing professional development, and passion needed to bring the best in service and quality to your commercial property. Long-term curb appeal for elevated business: When a first impression is one of the biggest indicators of a customer gained or lost, curb appeal is a must. Safety from slips, falls, and other accidents: Slip and fall accidents are the number one cause of emergency room visits each year, costing injured individuals and companies millions in damages annually. We eliminate the risk. Lasting quality: With regular concrete cleaning maintenance, your surfaces will hold their quality for longer. This means that you don’t have to invest time and money in expensive repair projects. Sidewalks, parking lots, drive thrus, and driveways tend to take a beating. With professional service from Streak Free, your concrete surfaces will look better, be safer, and last longer. We deliver comprehensive and reliable service so that our customers can focus on what matters – running a successful business.